Also consider listening to the Radio Show we did with Rick Wiles on TruNews. This is a rapture round-table discussion about IF there is scriptural evidence of a rapture of the Bride. Brother Wiles and his guests do not believe in the rapture. God bless you. I pray you are blessed. And on the Radio Show we did from February 26th, I shouldn’t have said “We ate their lunch and popped the bag” and I apologize. I got carried away and should have been much more humble about it. The truth is that the Holy Spirit was upon us, and we believe with the blessings of our Father God, that we appropriately represented the accurate intent of the word of our Heavenly Father God. Yes, i believe in rapture , we should walk in rigtheousness and holiness. Be ready always, be a pure – hearted and obedience person. 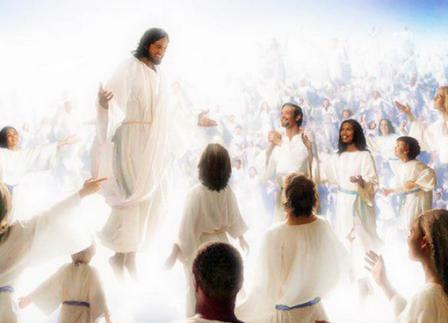 Yes, Jesus, rapture will happen sooner than we think. Amen brother. Its coming soon!! Yay! pre trib rapture in the word? I love you brother and have listened to you hour after hour and will continue to do so but I would like you to try to answer a couple questions like Matt 22 but for the elects sake those days be shortened does he mean for our sake mine and yours elect? Is it going to far to say that if we were to be here when economy collapse’s and people start turning one another in for not taking the chip or whatever the mark is to buy and sell and the demi gods return and if we were still here when Enoch and Elijah come back if there not here right now? that Yahweh couldn’t or wouldn’t give us the same protection that he gave Noha and his decedents on the mountain? or the same protection he gave his Patriarch and Profits that could slay thousands of Demon seed giants single handedly? It seems that Enoch starts out talking about the Elect that will be living in what? the day of tribulation but he adds I will protect the Elect the elect will I protect Ive learned through some supernatural life experiences to prepare for the worse and hope and pray for the best what Im asking is it it to far off the path to say if we were going to live in and through the tribulation is it possible Yahweh could provide the same protection here on earth as he could taking us out of it pre tribe? Yes if you do not see it now, you need to seriously seek the Lord. Its not “pre-trib” like I said, its PRE-WRATH. I sure hope you pray that the Father opens your eyes and heart so you can see. The Bible is very clear. It does not lie and it does not bend the truth. God bless you. Brother John, I greatly appreciate you love for the Scriptures and your teachable attitude. (Where do you get those “gummy crows”, by the way? I’m sure I’ll need a few myself as I go through the teaching on your site. A good supply of crows should be a requirement for all who teach eschatology:) I’ve invested thousands of hours in Bible prophecy study, and I’m confident that you’re correct about how the sudden destruction in 1 Thes 5:1 marks the point of the Rapture (note to Rick Wiles, the word “Rapturo” IS in the Latin Bible!). Years ago while studying 1 Thes 4 and 5, I noted in the margin of my Bible that the Rapture occurs simultaneously with the judgment in 5:3. The Rapture, which begins the “day of the Lord” (vs. 2) MUST come at a time of relative peace (vs. 3), otherwise Jesus’ coming in the air would not be as a thief to a spiritually slumbering world. We brethren, who will escape, and who are not in darkness, will not join the chorus of “Peace and safety” as we watch an increasingly sinful world ripe for judgment. I do see a few flaws in your prophecy teaching, so when you’re in the mood for a challenge, and hungry for a little crow, just let me know. Maybe you can help me with some of my blind spots, as well. Here’s a great verse to refute both Post Tribbers and those who teach an imminent Rapture: “And when these things begin to come to pass, then look up, and lift up your heads; for your redemption draweth nigh.” (Luke 21:28) We look up for His coming in the air neither BEFORE nor AFTER, “these things…come to pass”, but when they BEGIN to come to pass. Praise the Lord Jesus Christ. The enemy has been trying to hinder me from sending this message. I have a short praise report that I hope can bless someone. I’ve always known that all governments are corrupt, and that in our country many truths have been hidden from us, the Americans. According to God’s Word, I have noticed a rapid increase in iniquity and that’s why we felt it was vital to move from Long Beach, CA to Hi Vista, Ca. In this rural area I have found physical and spiritual healing. However, a few months ago the Lord began to tug at my heart to seek out a Christian Prep Community for hard times were coming. I had come across such communities on line before, but this time I couldn’t find a single one on the internet except a website called Arkhaven.org. I knew that God was in control and He was guiding me to find something. The first thing that caught my eye was a map with marked locations where people could relocate for survival and safety. I was sure of its authenticity; I could feel the Lord telling me to mark it on my physical map at home. Shortly after that, God prompted me to look for information through Prophecy in the News. I thank God for Tom Horn and his website because I learned a great deal. I’m even more grateful because Tom’s teachings somehow led me to Tribulation-Now. I ran into a piece that John was doing on the blood moons. When I heard someone say “Praise Jesus” over and over on the talk show, I knew that this person was in love with Jesus and that passion for God led me here to you guys. On your website I noticed a Navy Map demonstrating the future inundated areas of the USA. I was shocked at the accuracy between this Navy Map and the one from Arkhaven.org. After much prayer, research and confirmation from God, I began to realize that the Lord was telling us to move to Montana. My daughter and I were very blessed with the section on “Most Critical Prophecies”. God spoke to both of us and it was very reassuring and comforting. Thank you so much Tribulation-Now from the bottom of my heart for allowing God to use this website as such a powerful instrument to help so many people. Blessed be the Name of the Lord Jesus Christ. This is a fascinating website and I will enjoy reading what you have here. I have to say that I began my search for truth about the rapture 4 years ago, because I was challenged to do so by brothers in Christ who had done their diligence. I began this research reluctantly not wanting to believe that the pre trib rapture is false, but I went ahead and I know that the Lord helped me, He brought resources into my life : authors , scholars, pastors & other Bereans/scholars. Dave MacPherson wrote in his book ‘The Great Rapture Hoax’ ” Although the zealous Plymouth Brethren of Great Britain (where the pre trib rapture originated) almost single -handedly planted British Pre-Tribism around the world during the last century … the same British evangelical group has largely abandoned Pre-Trib during the 20th century !” If this pre trib rapture is indeed a Biblical truth, why wasn’t it ‘discovered’ until the 1830’s ??? Why didn’t the Brilliant Reformers write about it, and they were scholars and prolific authors: Luther translated the entire Bible into Greek, Calvin wrote some 25 volumes on the Bible; then why did they never mention it? The truth is that the gathering together of the saints (the proper term) does not occur until just before Christ’s return, before the Wrath of God. The rapture is pre-Wrath, not pre-trib, and there is not one single verse in the Bible that tells us otherwise, only verses which have been interpreted by eisogesis or, a backing into the theory rather than exogesis, clear evidence without guessing. Dear Brethren, don’t be deceived any longer. Look at when God says His wrath will be poured out: Revelation 6, verses 16 & 17: They said to the mountains and to the rocks, “Fall on us and hide us from the face of himi who sit on the throne and from the wrath of the Lamb! FOR THE GREAT DAY OF THEIR WRATH HAS COME, AND WHO CAN STAND ?” In Ch. 7 – suddenly – the great Multitude in white robes appears around the throne of God with and the elders who are ALWAYS around the throne – yet- one of them asks in verse13 : ‘These in white robes, who are they, and where did they come from ?” v. 14: ‘These are they who have come out of the great tribulation; they have washed their robes and made them white in the blood of the Lamb. V. 16: ‘Never again will they hunger; never again will they thirst. ‘ Friends, this scene depicts the sudden, unexpected appearance of the saints who were martyred during the tribulation. The question of the elder in v. 13 confirms that they had never been there before, and this takes place just before the 7th seal, which chapter 8 describes. Finally, it violates the laws of Bible interpretation to claim that the words of mere men, added almost 2,000 years after the Bible’s beginning are true. The rapture is pre-wrath, the wrath comes just about 23 days before the end of the tribulation, and we will go through it, so pray diligently that you will persevere, and also pray as Luke 21:36 suggests : “Be always on the watch and pray that you may be able to escape all that is about to happen, and that you may be able to stand before the Son of Man.” What we will face in the first 6 Seal judgments will be what the evil world system, and the devil, will do to the world.